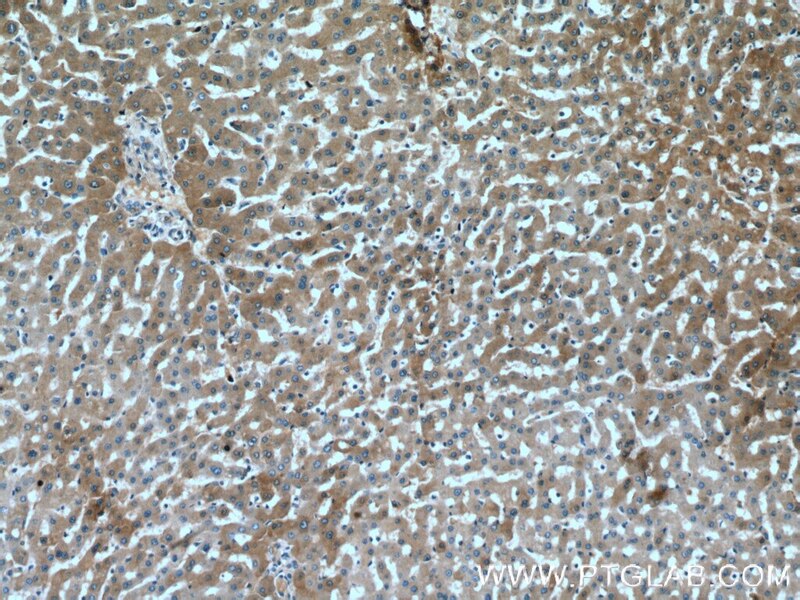 Immunohistochemical analysis of paraffin-embedded human liver tissue slide using 16571-1-AP( Fetuin-A antibody at dilution of 1:200 (under 10x lens). 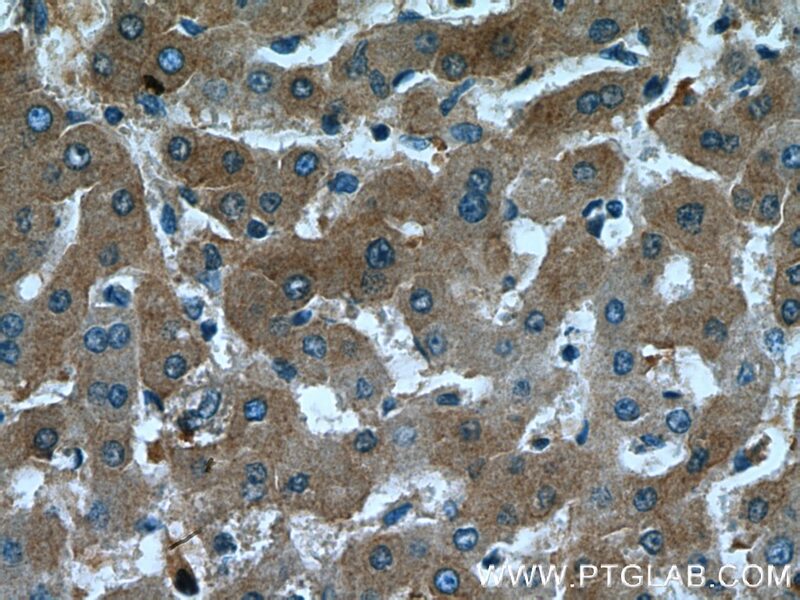 Immunohistochemical analysis of paraffin-embedded human liver tissue slide using 16571-1-AP( Fetuin-A antibody at dilution of 1:200 (under 40x lens). Fetuin-A, also named as Alpha2-HS glycoprotein (AHSG), is a member of cystatin superfamily of protease inhibitors. It is a highly expressed glycoprotein in various fetal tissues whereas it is mainly expressed by the liver in adults. Fetuin A, an extracellular inhibitor of transforming growth factor β, is a profibrogenic stimulus in liver disease. Circulating fetuin-A may be a beneficial serum biomarker in the detection of liver and vascular fibrosis progression in patients with non-alcoholic fatty liver disease. It is also involved in several functions, such as endocytosis, brain development and the formation of bone tissue. Fetuin-A exerts its effects on the cardiovascular system by two different mechanisms. On the one hand it inhibits insulin signaling and induces insulin resistance contributing to the onset of atherosclerosis and on the other hand it inhibits calcium deposition and protects from vascular calcification.